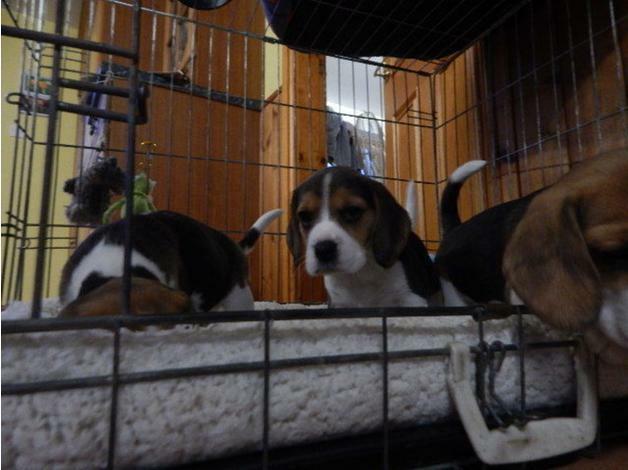 Kusa registered beagle Puppies for sale. Dad Mum and Dad live with us and will be here to greet you .They are ready to leave for their forever homes now at 9 weeks of age.They are Very healthy, robust, lively & friendly. Excellent temperaments and outgoing personalities. They are used to everyday noises and have been handled daily. . They have been Vet checked, vaccinated, dewormed and micro chipped by registered vet. A sample of their food and a Royal Canin puppy pack will also be provided free of charge .A lifetime of after sales advice is also available.